Discover the museums of Venice with our exclusive online booking service!!! Please select the museum, the date, and the tickets number for each museum and category you want to book. Reduced price tickets are available only for EU Citizens between the ages of 18 and 25 and for the european school teachers. Free price tickets are available for children under 18 years of age. If you are booking this type of discounted tickets you have to confirm (selecting YES) you belong to the favoured category. Rates include tickets, pre-sale fees and online service fees. Note: Online fees (€ 3,00), pre-sale fees and eventual temporary exhibition fees are always due except for children under 6 years old. (Please do not include children under the age of 6, people with disabilities and their companion in the booking request. In these cases tickets will not be necessary). 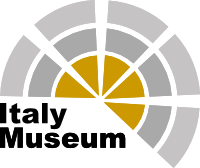 Note: Online fees (€ 3,00, € 4,00, € 6,00 or € 8,00), pre-sale fees (€ 0,40) and eventual temporary exhibition fees are always due except for children under 6 years old. Children under 6 years of age are not admitted to the Secret Itineraries guided tour. The confirmed time is not always the same time you requested; the museum automatically confirms the closest available time on the same date if the requested time is sold out. As soon as we receive your booking request, your tickets will be booked. Ticket confirmation is subject to museum availability. If availability is confirmed by the museum, the original voucher will be mailed to the email address you provided, so be sure you insert your email address correctly. The original voucher is the only recognized document at the museum entry. The procedure may take a few hours. In case the order is submitted on Saturday, after 12.00 pm or on Sunday, vouchers will be sent on Monday morning. In case the order is submitted after 6.00 pm (Italy time), the voucher will be sent the morning after, except for Saturday afternoon and Sunday. In this last case the voucher will be sent on Monday morning anyway. TuscanyAll is not responsible for eventual changes or cancellations to the programs offered. 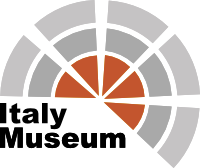 A service charge equal to € 3.00 for the St. Mark's Square Museums, € 4.00 for the Doge's Palace Secret Itineraries, € 8.00 for Venice Museum Pass and € 3.00 for all the other museums is added to the price of each ticket purchased online through TuscanyAll. The prices published on-line already includes all fees except for eventual temporary exhibition fees; in case of temporary exhibitions, the management of the museums apply to the price of the tickets a surcharge, this surcharge will be added to the rates published online. There is a service charge for every further modification of your reservation. Service fees (€ 3.00, € 4.00 or € 8.00) and reservation fees (€ 1.50 or € 0.40) are always due.